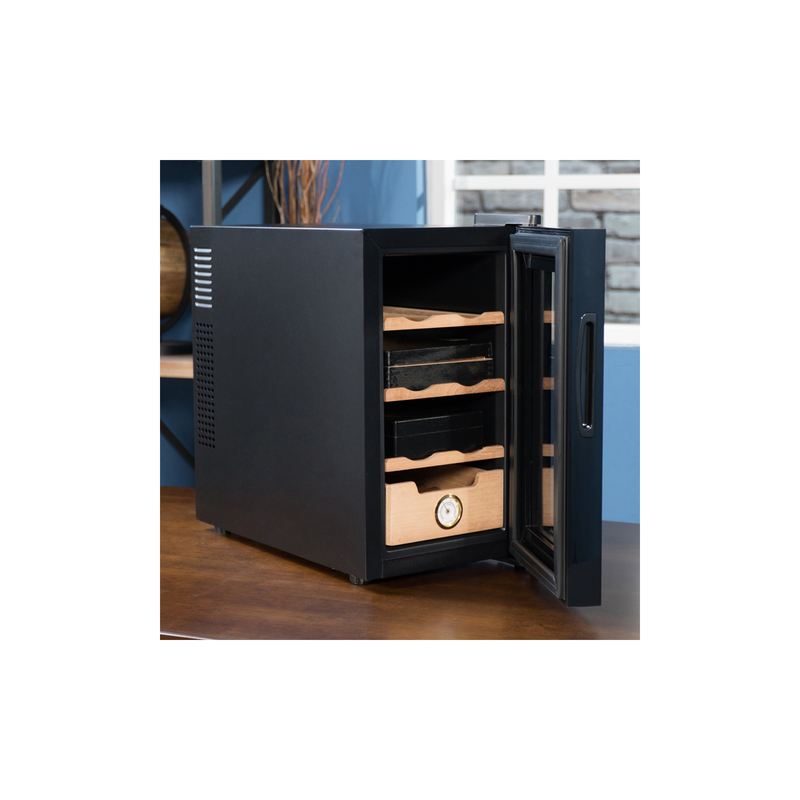 CIGAR CAPACITY: With the help of two adjustable shelves and an adjustable drawer, this unit can hold 250 cigars while accommodating all cigar sizes and allowing for both loose and boxed cigars from your collection. Easy To Read Hygrometer, 250 Cigar Storage Max. 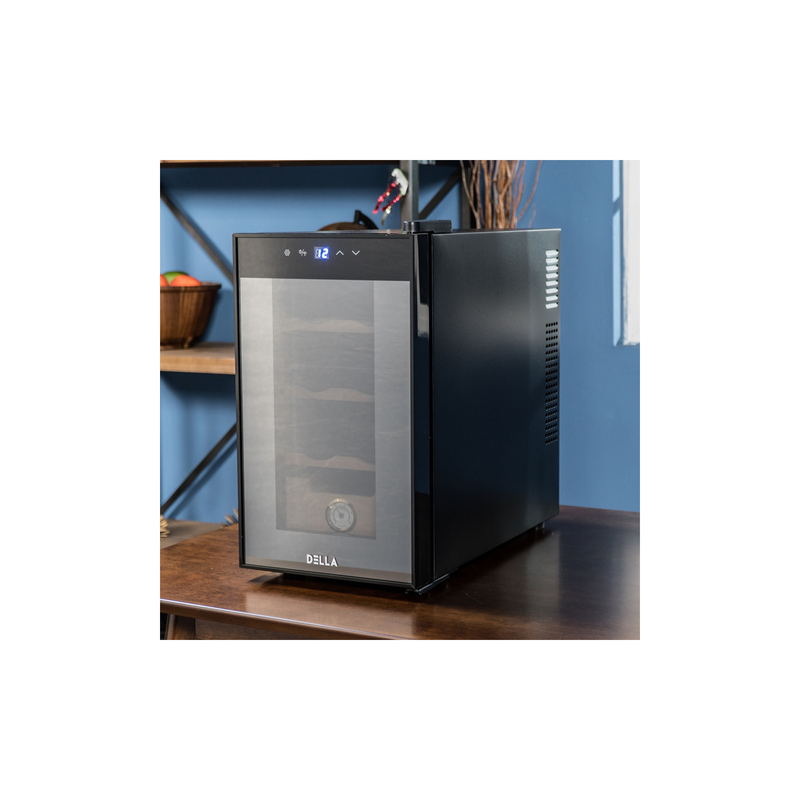 Ultra quiet, vibration-free thermoelectric cooling. Spanish Cedar drawers & shelves. 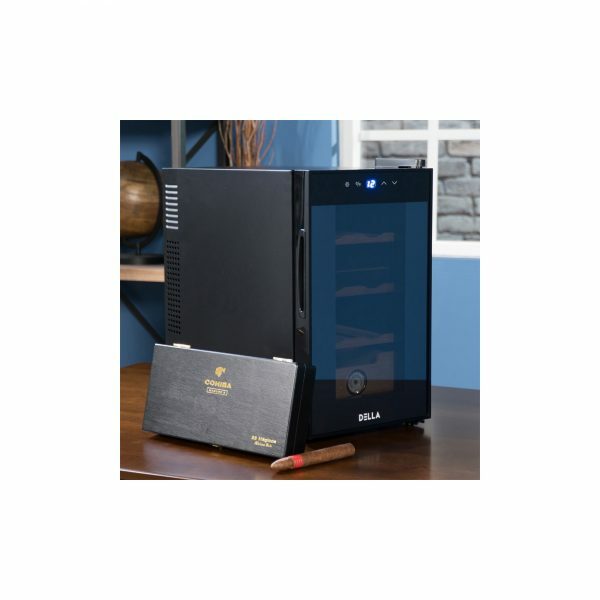 COOLING SYSYTEM: The ultra-quiet and vibration free thermoelectric cooling system enables you to control the temperature of your cigars, allowing you to better protect your collection from cigar beetles and create the perfect temperature-controlled environment. Temperatures can be adjusted lower than the ambient temperature of the room only and cannot be adjusted higher. BUILT IN HYGROMETER: Quickly monitor the relative humidity and temperature with the help of the built-in hygrometer and digital temperature display. Using the push button controls for temperature and included moisture container, manage the RH and temperature for your collection. INTERIOR LED LIGHTING: Protecting the internal environment, cool blue LED lighting does not raise the internal temperature of your unit but is provided to allow you to better control how your collection is displayed. Helps repel damaging insects and tobacco worms. 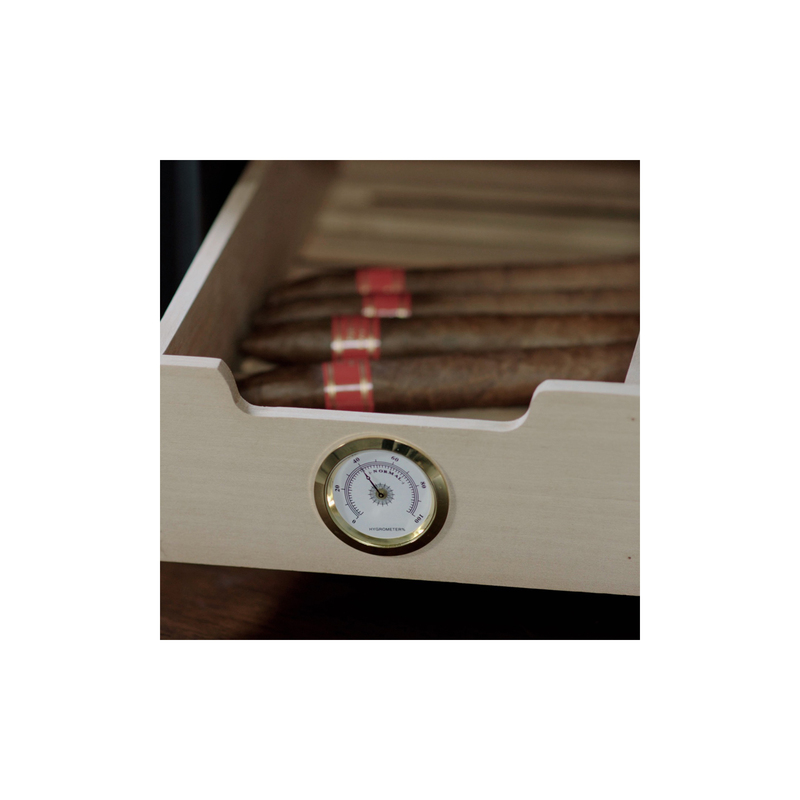 This model includes an easy to read built-in hygrometer that shows you if your cigars are being stored in the ideal humidity range.